Editorial Note: Since we’ve published this update, we’ve introduced an API Changelog that tracks the ongoing updates to our API. The Shippo team is proud to unveil a massive new technical update for API to power shipping for marketplaces. 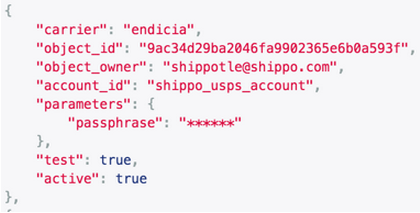 Shippo’s API is everything platforms and marketplaces need to help their merchants ship. This update enhances its core functionality by enabling greater flexibility in using shipping carrier accounts to access shipping rates. Our engineers are particularly excited! They’ve been working on this – fast & furious – for weeks now. We’re the first shipping tool on the market to offer this technology. Today, seamlessly integrating and finding the right shipping options for your customers at checkout is not simple. Multiple factors are constantly at play given the various stakeholders involved on a per-shipment and per-customer basis – you’ve got an array of carriers, domestic vs. international labels, insurance or none, box sizes and weights, individualized customs rules and package instructions, and the list goes on. Shippo’s goal is to provide you with a simple and easy-to-use shipping solution that caters to both you and your merchants’ needs. 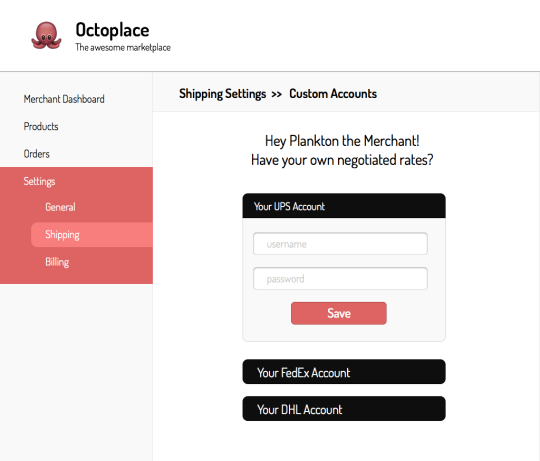 With this update, we provide you with the option of defining multiple accounts per carrier (e.g Fedex, UPS, USPS), putting more power into your hands to manage multiple shipping accounts and find the best shipping rate for your merchants. With this update, we’re one huge step closer to our ultimate vision of being the dynamic pricing engine between e-commerce stores and shipping providers. 1. 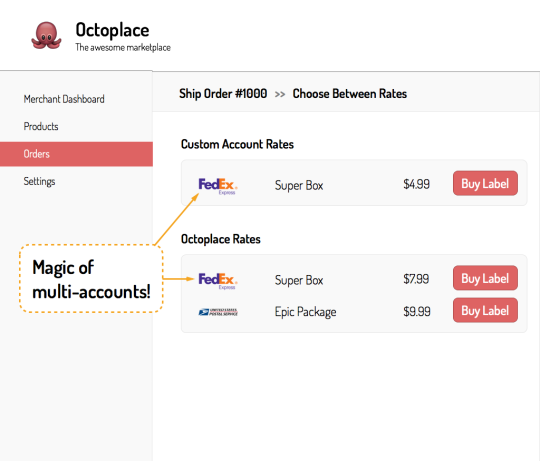 Multiple shipping accounts per carrier: The core of this API update is that you can now use as many shipping carrier accounts and sets of rates as you want through just one Shippo account. API users can create and update carrier accounts via our API, enable or disable test mode, and specify which accounts to use for getting shipping quotes on a per-API call basis. 2. Empower your merchants: Marketplace owners can now build comparison pricing dashboards for their merchants. Multi-account credentialing enables cross-comparison of carrier rates to the end-customer so they can juxtapose their own negotiated rates with the marketplace’s rates. 3. Shippo does the heavy lifting: All you have to do is specify the accounts you would like to use to get shipping quotes for a shipment; Shippo pulls all available rates and ensures we always use the right account for tracking and refunding the label you create later. Leave your account management to Shippo! 4. Custom rating logic saves you time: Different carriers have different response times when it comes to providing you shipping quotes. While the major carriers can return your rates in under a second, others may take up to 8 seconds to do so. With multiple carrier access points, you can delimit which carriers to pull rates from on per shipment basis, meaning no more stalling waiting for rates you know you do not need. 5. 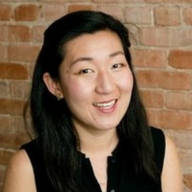 Customer example: Levita LLC, an online retail marketplace for bedding encasements and supplies for bedbug management, is one of the first Shippo customers to take advantage of this feature. With this multi-account feature, Levita is finally able to offer their vendors the option of using their own shipping carrier credentials to retrieve shipping rates. 6. Building your rating logic: To get you started, we have exposed our own USPS account through the carrier-accounts endpoint (see example below). Use this account to build your own rating logic using Shippo’s discounted shipping rates! Our flexible new carrier account technology allows for further customization and automation of the shipping API. We want the reins in your hands, so that you can mold storefront checkout & shipping processes to fit your exact needs. Never heard of Shippo? Never played with our API? Let’s change that. Read our API overview guide here.